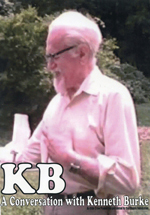 The Fall 2009 issue of the KB Journal begins with a word from Editor Andy King. It is followed by the first of our new Distinguished Scholars Series, a series of conversations with prominent Burkean scholars on the past, present, and future of the field; this issue features an interview with David Cratis Williams. Essays in this issue include Deron Williams & Jim A. Kuypers "Athlete as Agency: Motive in the Rhetoric of Nascar," Herbert W. Simons "Burke's Comic Frame, Marx and the Problem of Warrantable Outrage," Robert Perinbanayagam "All That is Solid Melts into Words," Kevin A. Johnson "Burke's Lacanian Upgrade: Reading the Burkeian Unconsious Through a Lacanian Lens," Garth Pauley "Criticism in Context: Kenneth Burke's The Rhetoric of Hitler's 'Battle,'" Christopher R. Darr & Harry C Strine IV "A Pentadic Analysis of Celebrity Testimony in Congressional Hearings," along with a review of Kenneth Burke's "On Human Nature."